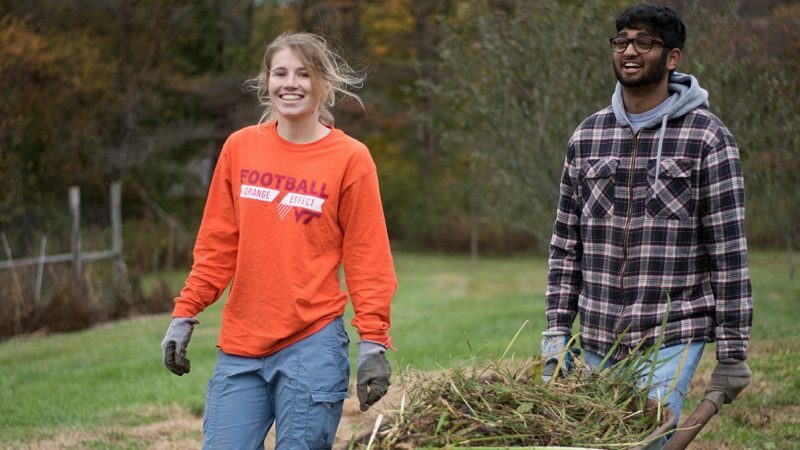 VT Engage is a university center in Student Affairs that seeks to equip students to serve as change agents who make the world more equitable and just through their commitment to community and civic engagement. We partner with organizations to create community-driven service experiences that prioritize learning and prepare students to develop their leadership capacities. Our vision is a just world. In pursuit of social justice, our mission is to strengthen communities while advancing community-engaged leadership. Students will experience and develop their understanding of Ut Prosim (That I May Serve) in thoughtful collaboration with stakeholders.